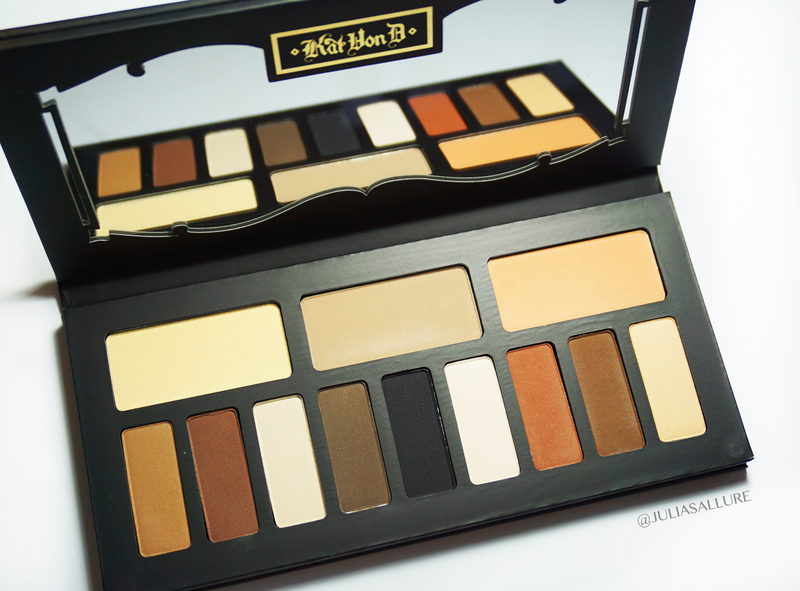 I took advantage of the Sephora VIB sale and purchased a few items, one being this beautiful new Kat Von D “Shade + Light Eye Contour Palette”. 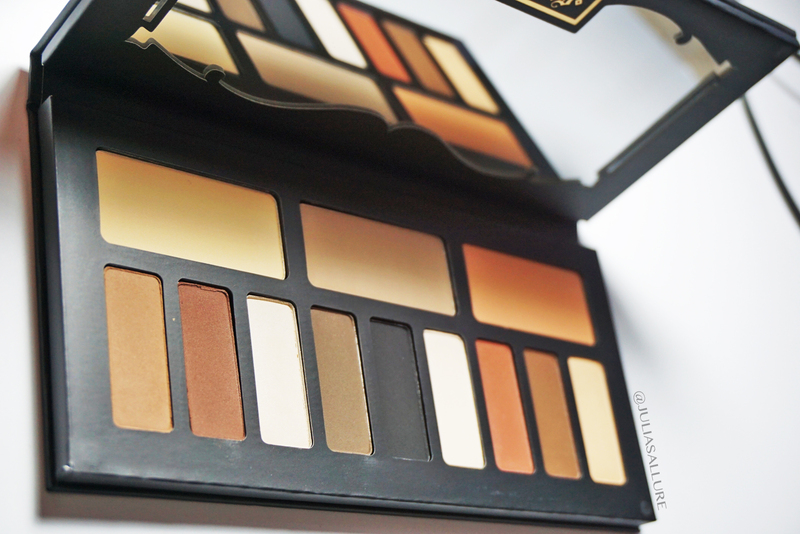 The palette contains 12 neutral, cool and warm shades all meant to give the perfect contoured look to the eyes. 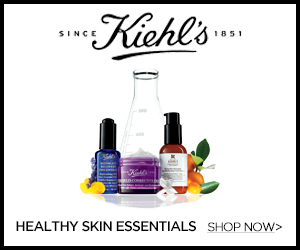 It retails for CAD$55.00//USD$46.00. 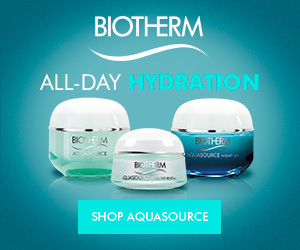 You can purchase it at Sephora or online. 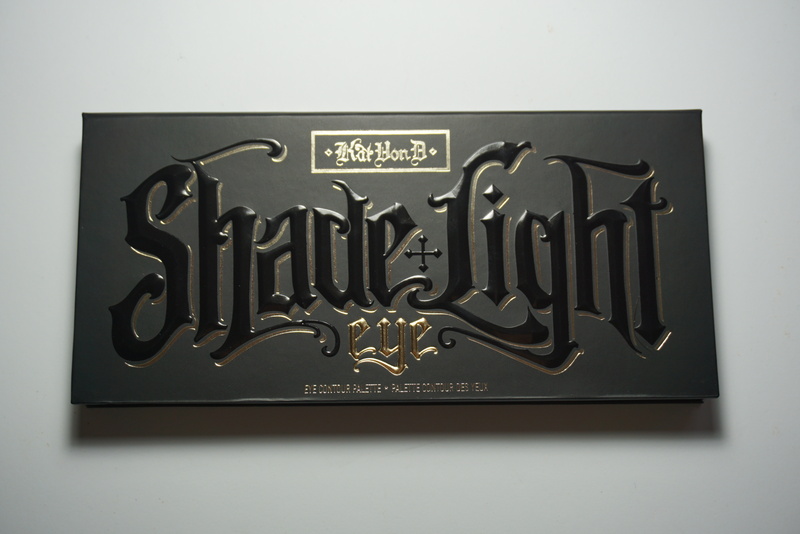 The palette packaging has the same design as her face contouring palette, except this one has the word “eye” inserted, as this one is an eye shadow palette. 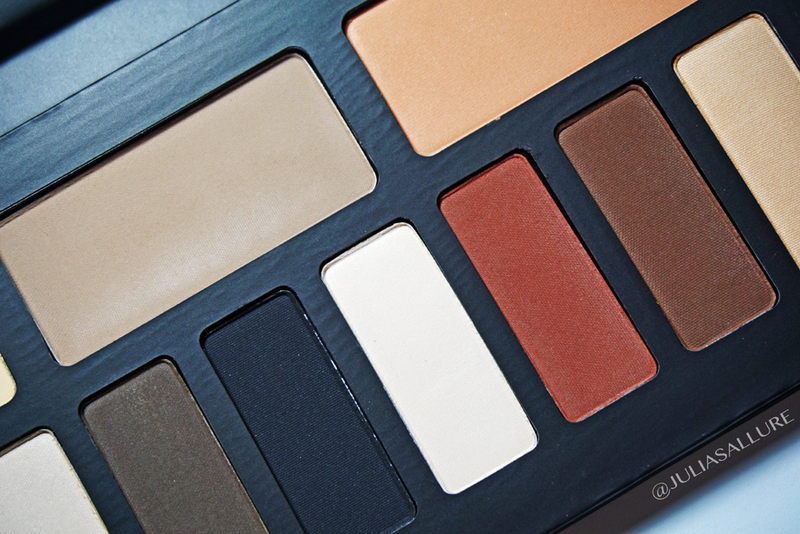 The shades are all pretty matte – none of them have any shimmer or obvious gleam in them. Some are more matte than others if that makes sense. Also, I found the three larger top shades to have a less pigmented and buttery texture than the rest of the shadows which was a bit disappointing. 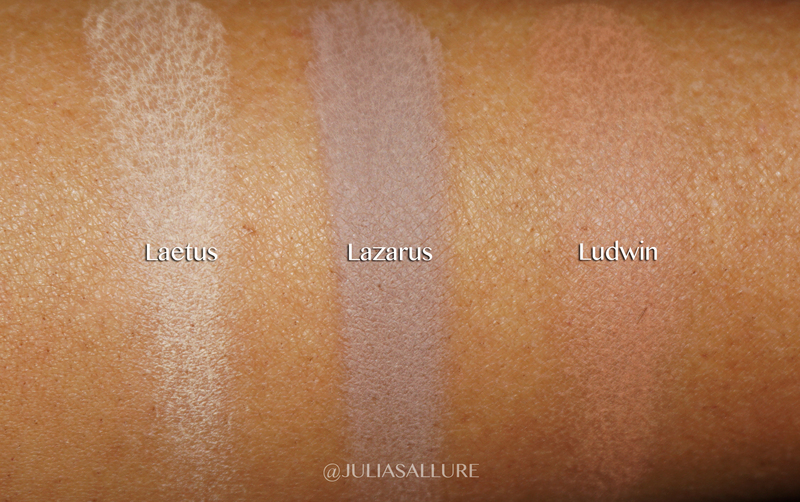 The rest of the shadows though are up to par with great pigmentation as you would expect from Kat. 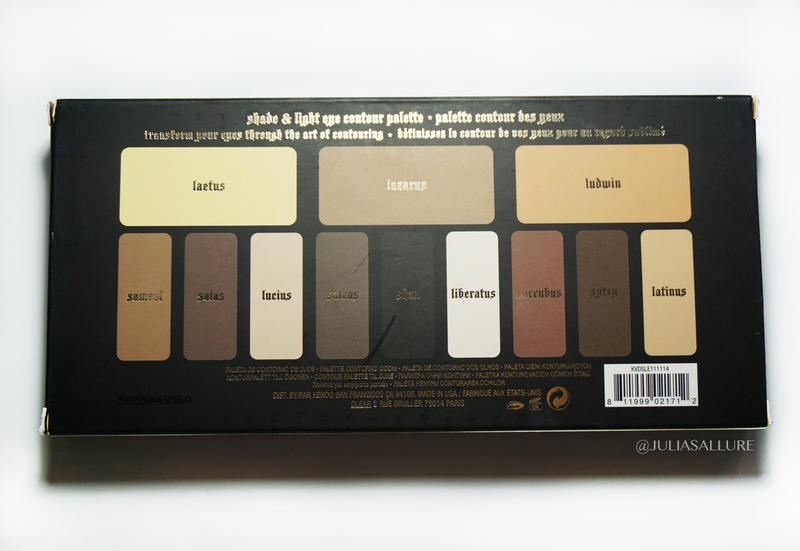 The bottom row of shadows had that rich, velvety pigmentation that I’m used to with Kat Von D shadows. They are truly beautiful shades and I’m so excited to play with them! Leave it to Kat to always have really cool, interesting named shadows as well. Love it. 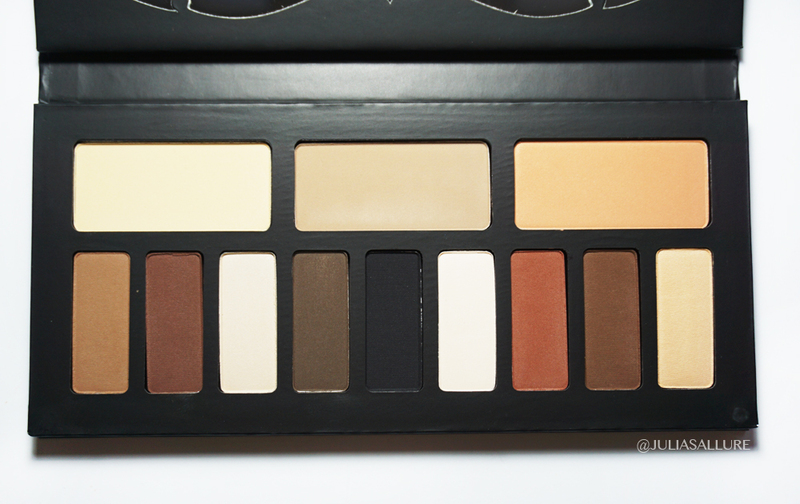 Let me know what you guys think of this palette. Do you have it? Do you want it? What are your thoughts? Looks amazing actually! Unfortunately we can’t get Kat von D in Belgium. 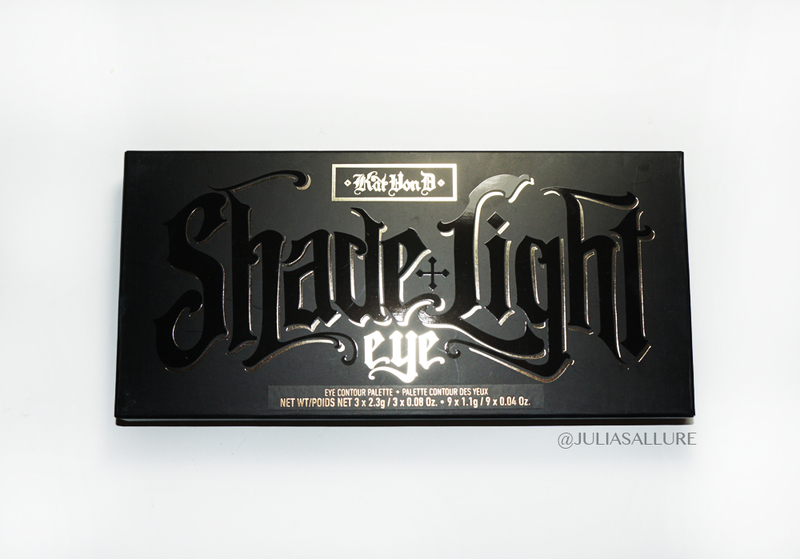 I’m thinking on getting KVD’s Shade+Light Eye palette or Stila’s Eyes Are The Window in Mind, but still can’t decide which one to get. What palette do you think is better to get?